Miami Beach,FL (October 20, 2017) – The Miami Beach Jewelry & Watch Show, one of the City’s most anticipated events devoted to jewelry, has announced its new name and new location at Indian Beach Park. 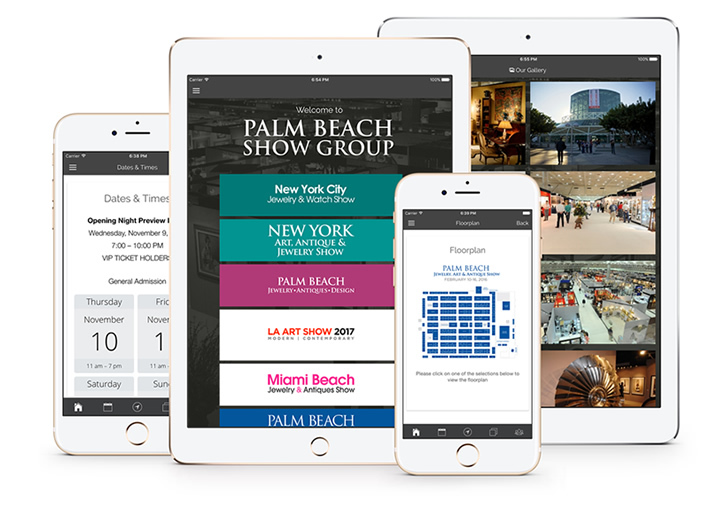 Produced by the Palm Beach Show Group, experienced show producers with an expertise in bringing together the best group of exhibitors from around the world, the event will build upon the strength of last year’s successful debut show. Accurately highlighting the prominent focus of jewelry on offer at the show, the event will return as the Miami Beach Jewelry & Watch Show, February 1-4, 2018 to Indian Beach Park, 4601 Collins Ave, Miami Beach, FL 33140. The Miami Beach Jewelry & Watch Show is set to provide an extraordinary showcase in Miami Beach for leading jewelry and watch dealers from around the world. With over 40,000 square feet of exhibition space, more than 120 dealer booths will flow throughout the Indian Beach Park Pavilion’s expansive setting, creating a show of spectacular breadth, depth and scope, allowing exhibitors and collectors to meet under one roof in a specalized venue on the Beach– all in one place, all at one time. The Miami Beach Show will take place at the same great location as the renown PULSE Miami Beach Art Fair during Art Basel. The exceptional new pavilion is located directly on the beach next to the Eden Roc Hotel and just north of the Fontainebleau situated in the heart of Millionaires Row on Collins Avenue. At the 2018 show, collectors and dealers can expect a selection of the world’s top jewelers specializing and showcasing a mix of antique and estate jewelry, vintage pieces, modern collections and fabulous watches unmatched in any other show in the country. The Miami Beach Jewelry & Watch Show is produced by the Palm Beach Show Group, whose portfolio of events includes multiple other shows across the United States.